I interviewed Stephen Chilton from the UK's NHS (National Health Services) today about their enterprise mobility solutions and plans. I will publish the entire 29 minute interview next week in my first official podcast that can be subscribed to and downloaded on iTunes (OK so I am a bit slow). During this interview Stephen talked about dozens of different mobile applications they use, but one in particular caught my attention. It allows hospitals to better care for their patients during the night when there are fewer staff on duty. When there is better communications, better visibility, more knowledge about resource locations and better access to information, then you are in the best situation to efficiently support the needs of your customers/patients. The military is also finding this to be true. Using a Network Centric Operational strategy, they can put the right people and right assets in the right place at the right time. This results in a workforce multiplier that maximizes the effectiveness of your team and limited resources. In both cases, enterprise mobility plays a key role. Stay tuned for the full interview with Stephen Chilton here next week. This is Part 2 of this interview with Inland Group's John Bedlek on enterprise mobility and implementations. You can read Part 1 here. John is with the Inland Real Estate Group of Companies, Inc., which is one of the nation's largest commercial real estate and finance groups. They are headquartered in Oak Brook, Illinois, and employ more than 1,600 people nationwide. With $25.1 billion of assets in 47 states and more than 126.1 million square feet of commercial real estate in our various portfolios. Apple reported quarterly net profits of $5.99 billion, nearly double what it made a year ago. Revenue was $24.67 billion, a rise of 83 percent. Apple sold 18.65 million iPhones, a rise of 113 percent. However, iPad sales were 4.69 million, below analysts' expectations. 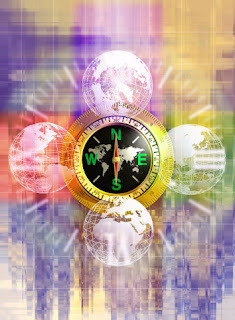 Global tablet revenues will exceed $49 billion worldwide by 2015, with North America, Asia-Pacific and Western Europe leading the way as the most valuable regions for tablet vendors, according to Strategy Analytics. Apple has denied that iPhones store a record of their users' movements for up to a year and blamed privacy concerns partly on a misunderstanding. According to a recent survey of U.S. physicians, 61 percent intend to own an iPhone by the end of 2011. This is up from 39 percent at the beginning of the year and compares with the iPhone's 24.7 percent adoption among general smartphone users in the U.S. I had the good fortune to interview John Bedlek this week about his company's enterprise mobility projects, and their cloud based implementation of the Webalo mobility solution. John is with the Inland Real Estate Group of Companies, Inc., which is one of the nation's largest commercial real estate and finance groups. They are headquartered in Oak Brook, Illinois, and employ more than 1,600 people nationwide. With $25.1 billion of assets in 47 states and more than 126.1 million square feet of commercial real estate in our various portfolios. The Inland Group's enterprise mobility solutions involve JD Edwards as the ERP, customized Microsoft based Business Intelliengence solutions and Webalo on Blackberrys and iPads. You can listen to Part 2 here. In 2016 the value of transactions made using Near Field Communication (NFC) services in North America will reach nearly $47 billion. Research shows the number of annual mobile payment transactions will increase to 45 billion in 2015. It has been forecasted that by 2015 over half a billion people worldwide will be using their smartphone as a ticket on their daily commute. Mobile payments in North America experienced a substantial increase in adoption in 2010 with conversion rates doubling within one year. Advertising on mobile devices in China will more than double to $1.16 billion in the next three years, growing faster than the U.S. market. AT&T is creating a program that will allow developers to run location-based ads in their smartphones. This will allow AT&T to compete with Google in the location-based advertising market. Visa is working with Gap to deliver real time discounts and promotions to opt-in consumers via SMS. A Massachusetts company has created a smartphone app that allows customers to shop for groceries by scanning barcodes with their phone cameras. 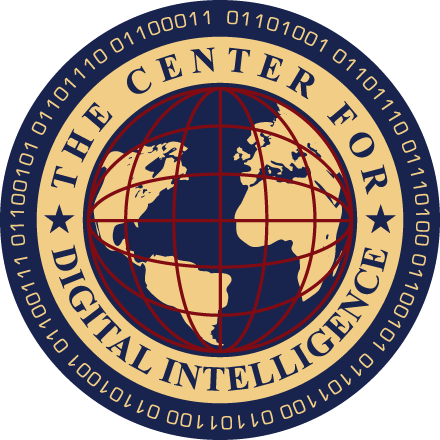 The U.S. military is preparing to release in July 2011, a new mobile development environment called the Mobile /Handheld CE Product Developers Kit, an Android-based smartphone framework and suite of applications for tactical operations. This is part of the Joint Battle Command-Platform or JBC-P Handheld program. I see this as similar to what SAP is doing with the Sybase Unwired Platform and project Gateway. They are developing platforms to enable a standard way to integrate with core processes. Lt. Col. Mark Daniels, product manager for JBC-P says, "Allowing industry to freely develop apps within a government-led software environment means the Army can leverage fresh ideas and technology while still maintaining disciplined governance." It is for the similar purpose of maintaining disciplined governance that it is necessary for SAP to define how mobile devices integrate and interact with SAP. "We're going to allow third-party developers to actually develop capabilities that aren't stovepiped," said Daniels. That means there will be interoperability across the entire family of military systems of JBC-P, which would include the platforms, the aviation, the logistics community, the tanks, the Bradleys and the handhelds. Eliminating stovepiped applications is also a motivation of SAP's. The Defense Department has chosen Android to develop a smartphone network and military apps for soldiers out in the field. Modiv Media has a handheld device that allows people to scan in their purchases in grocery stores and avoid lines. They will soon release an iPhone app that allows people to shop through stores simply using their phones. Officials at Dallas’ Department of Intergovernmental Service are deploying asset-tracking software for managing asset data in the field and a bar code label printer for creating asset tags. The USDA is ramping up efforts to track livestock with microchip implants in horses. This will allow handheld devices to scan chips planted behind the animal’s neck. 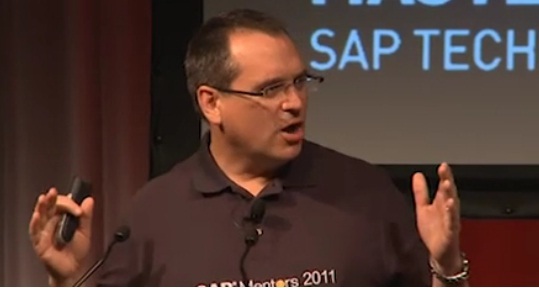 In this video comment I share what I want to learn about enterprise mobility at SAP's SAPPHIRE NOW 2011, May 15-18, 2011. I hope to see you there! Users of the iPad and iPhone are being tracked — by their mobile devices. Researchers have uncovered a file inside Apple’s operating software that contains detailed records of a user’s location, according to the Wall Street Journal and other media reports. Free smartphone apps let users compare prices at local gas stations, anticipate traffic jams and keep cars operating at peak performance. These apps will be particularly useful in the months ahead, when gas prices are expected to climb higher as summer vacations start. Skype has updated its Android app to include VoIP calling over 3G in the U.S. Previously, U.S. users could only place calls when connected to a Wi-Fi network. International users have been able to make calls over a cellular connection since the app was originally launched last year. Global spending on business intelligence, analytics and performance management applications jumped 13.4 percent in 2010 to $10.5 billion, according to figures released by analyst firm Gartner. According to Juniper Research, in just three years, one in five smartphones will carry NFC technology, some 300 million estimated handsets. Mobile shopping has transformed the way people shop, with 50 percent of Americans using a mobile method to navigate shopping. Visa Europe has announced plans to invest 100 million euros per year to accommodate the growing demand for mobile payments and e-commerce. Emerging global markets that lack broad access to financial services will likely represent the greatest potential for mobile payments initiatives. U.S. ad spending should rise by 3.1 percent this year, with cable television, online video and mobile marketing leading the charge. Recently Germany has seen significant growth in both the number of companies willing to use mobile advertising and the growth of the overall mobile ad market. With the help of mobile phones, online retail is expected to grow by 61 percent from 2010 to 2014. Wal-Mart is purchasing Kosmix Corp, a marketing firm that analyzes online data to personalize web content. This acquisition is another example of how Wal-Mart is entering the mobile retail industry. Netherlands Railway has purchased 10,000 rugged handhelds for new ticket control practices. The rescue team that saved trapped Chilean miners in 2010 was aided by Panasonic Toughbooks throughout the rescue effort. The Department of Defense is continuing to introduce RFID technology into its shipment processes. A Miami based company has created washable RFID tags to use on hotel robes and towels to better ensure they remain within the hotel and not a guest’s suitcase. As we approach SAP's SAPPHIRE Now 2011, I thought it would be useful to re-post an interview that I recorded in March with SAP's Dr. Ahmed El Adl. Ahmed is now involved in SAP's global mobile enterprise services strategy. Webinar: m-Business Trends and the Onslaught of Mobile Devices! Two recent apps — MIM Software’s Mobile MIM and AirStrip Technologies’ Cardiology — show how phones can help doctors get crucial patient information on the go. About 72 percent of physicians now own a smartphone, according to a 2010 study by Manhattan Research, so it’s no surprise that more apps are being geared toward them. Worldwide IT spending is forecast to total $3.6 trillion in 2011, a 5.6 percent increase from $3.4 trillion in 2010, according to the latest outlook by Gartner, Inc. Gartner has slightly raised its outlook for 2011 from its previous forecast of 5.1 percent growth. Twitter is growing fast and now sees an average of 155 million messages posted to the network each day. That's up more than 3X from the company's report of 50 million daily messages just one year ago. Amazon on Monday announced it had dropped the price of the third generation Kindle e-reader by $25. The price was reduced because the Kindle e-reader can now display sponsored advertisements. I am closely following developments in the HTML5 arena as it relates to mobility, so was interested to see this announcement from Gizmox this week. Tel Aviv, 14 April 2011, Gizmox, the developer of the award-winning Visual WebGui (VWG) cloud and mobile platform, announced today the launch of ProStudio .NETHTML5 beta, the only HTML5 dedicated development tool for Microsoft .NET developers. ProStudio .NETHTML5 enables fast and secure development of graphic-rich data-centric .NET apps for all platforms without plug-ins and resolves the data-binding, session management and Ajax complexities for data-centric applications by using simple .NET tools. With this offering Gizmox offers .NET developers a way into the new Web standard, HTML5. ProStudio .NETHTML5 is designed for building data-centric HTML5 applications within Microsoft Visual Studio. This empowers all web developers (including those who seek an alternative to propriety Silverlight which currently does not support the popular iOS and Android platforms for tablets and mobile) to use simple .NET development practices and for jQuery developers to deal with the data-binding , Ajax and session management challenges by using straightforward .NET framework. This version adds the complete jQuery extension and animation capabilities into Visual WebGui which allows developers to build rich, customer facing HTML5 UIs with animation and media streaming and also provides mobile & tablet support and cross-browser performance. Other benefits include enhanced data management features and more effective debugging capabilities. "Visual WebGui gained its fame for its classic .NET simplicity and time-saving that lets core Microsoft developers, develop rich ASP.NET Ajax based Web, Cloud or Mobile applications, just the way they are used to developing desktop .NET applications”, commented Navot Peled, President of Gizmox. “ProStudio .NETHTML5 is the only framework in Microsoft’s stack that allows cross-web/mobile platform and cross-browser accessibility to applications developed in .NET and jQuery for rich engaging HTML5 UIs and enables developers to leverage their .NET skills but deploy applications that comply with open web standards." First I want to say that I will be at SAPPHIRE NOW 2011 and hope to see all of you there. I will be running around like a crazy man interviewing mobility experts, recording videos, leading sessions, moderating panel discussions and meeting with SAP executives. I would love to learn more about the mobility projects each of you are working on, so let’s grab a table and talk. You can contact me on Twitter @krbenedict. Second, I really hope that SAP and Sybase will unveil ambitious, innovative, powerful and leading edge kinds of mobile solutions at Sapphire 2011, not just mobile apps from SAP partners. For $5.8 billion I think it would be nice to show a few compelling and interesting SAP developed mobile apps. I hope that the list of new mobile applications will include much more than just the light weight mobile apps I have seen to date. Come on! This is 2011! I was building more interesting mobile applications in 2004. Third, I want to hear how SAP and Sybase will be restructuring their organizations to deliver world class mobile solutions. SAP has had enough time to recognize the good, bad and the ugly concerning the Sybase acquisition and should be making the organizational changes necessary to execute on a good plan. I have heard bits and pieces but look forward to a solid plan. Fourth, I want to know how SAP is going to address mobility in the cloud. At some point soon, supporting a mobility platform (SUP) in-house is going to have a diminishing return. Much like SAP's recent move to get involved in EDI and B2B e-commerce with the SAP Information Interchange by Crossgate, an EDI service in the cloud, companies are going to want a simple API to access their back office data, not SUP that needs a C programmer to implement. The trend also seems to be for mobile devices to be secured and managed via a cloud service. Fifth, I want to learn how SAP is going to integrate M2M (machine to machine) wireless communications into enterprise asset management (EAM) and field services. Most new automobiles, trucks, tractors, equipment, appliances and other high value assets now have sensors with embedded wireless chips that can report their status, location and thousands of other pieces of important data. This data is an important component to an activity based business intelligence solution. If a customer leaves a meeting with SAP/Sybase more confused after the meeting than before, that is not useful. What other items do you want to learn about at SAPPHIRE Now 2011? Please share by adding comments below. the fish was this long I swear! I am excited to be participating in an upcoming webinar called m-Business Trends and the Onslaught of Mobile Devices. We talk a lot about enterprise mobility solutions on this blog, but some of the most interesting developments are actually in the B2C (business to consumer) space. The challenges are that if you are going to play in this space you will need to support all of the major consumer operating system platforms and devices. I will be opening up the webinar with a discussion on the trends in the mobile B2C space, and then Steve Levy will be joining me from Pyxis Mobile to discuss how enterprises can support the large numbers of mobile devices found in B2C environments. 1. Employees are bringing their devices to work, accessing corporate networks, and using them to conduct business – and IT departments are forced to accommodate. 2. Your customers want to interact with you and conduct business with mobile apps. Learn about the latest m-business and mobile app trends. This webinar will explain the major issues that every company faces in tackling the consumerization of the mobile enterprise and the massive proliferation of new device types, hardware and operating systems. VeriFone Systems Inc, the largest U.S. maker of payment terminals, expects to ship well over 1 million NFC enabled systems this year, underlining growing momentum for a technology that allows shoppers to buy with little more than a wave of a smartphone. Google’s newest NFC mobile payments program may face Apple, Amazon and PayPal as competition in this emerging market. Mobile banking is the wave of the future and leading the way are the newest generations. There are almost 80 million smartphone subscribers in the United States. Banking applications make up 37 percent of all applications purchased for the Apple iPhone, Google Android and RIM Blackberry. A company in Spain has released ATM machines that are equipped with contactless technology for all NFC enabled devices. Yesterday it was announced that SAP has awarded one of their mobility partners, ClickSoftware, with the 2011 SAP Pinnacle Award in the category of "Software Solution Innovator of the Year." The award will be presented on May 16 at SAPPHIRE NOW. It is interesting that SAP chose a mobility partner. I am speculating, but this award may have been boosted by ClickSoftware's recent success closing a large deal with SAP's customer Skanska UK’s Utilities Operating Unit, which is part of the massive construction group Skanska AB. Skanska will run ClickSoftware’s Mobile Enterprise Applications on iPhones and iPad tablets (read more...). Skanska will be implementing a number of interesting mobile features, in addition to the usual stuff, like site schematic diagrams, safety procedures, project plans and customer and asset historical information, plus many other features that will be integrated into Skanska's SAP environment. I wonder when we will see interesting mobile applications like this come directly out of the SAP/Sybase labs? I think this topic deserves another article. New research out from Gartner estimates total spend on mobile advertising will reach $3.3 billion in 2011, growing to over $20.6 billion by 2015. Office supply retailer OfficeMax has launched a new mobile marketing initiative that will reward consumers with discounts and coupons for checking in at physical locations via Facebook Places. Mobile advertising revenues in Canada are forecast to top $51 million in 2010, eclipsing online revenue growth at a time when traditional media continue to see fewer ad dollars. InMobi has stated that the mobile ad market has grown by 1.5 billion ad impressions between October 2010 and January 2011, a growth of 27 percent. This is Part 2 of my interview with Kore Telematics' CEO Alex Brisbourne. You can listen to Part 1 here. In this interview we discuss M2M (machine to machine) communications and how it relates and compliments enterprise mobility. Companies are seeking to reduce costs and improve productivity and efficiencies. M2M wireless communications utilizes data from sensors in the field to improve decision making and improve business performance. I am very interested in how the enterprise mobility markets and the M2M (machine to machine) communications markets will converge. From a BI (business intelligence) perspective, data coming in from the field all looks the same whether it comes from a person carrying a smartphone, or a remote M2M sensor reporting the status and location of a high value asset. At the enterprise BI level it is all valuable data that needs to be analyzed and converted into action based intelligence. In this two part podcast I am interviewing Alex Brisbourne, CEO of Kore Telematics on these subjects. 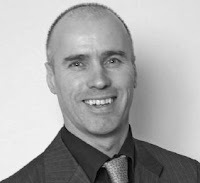 Alex has over 20 years of experience in the networking and telecommunications industry, in Europe, North America and Asia. KORE Telematics is the world's largest specialized provider of Business Class all digital wireless services for the M2M (machine-to-machine), telematics and telemetry markets. Many of you may be accessing my articles, newsletters and other content through RSS feeds, Twitter, Readers or other websites so have not spent much time on my blog site. Because of this, I wanted to share a list of available tools on my site that you can use when engaged in research on issues related to enterprise mobility. On the left sidebar is a menu of the different pages associated with this site. These pages contain the archives of my newsletters, interviews and video recordings. You can click on each of these areas and quickly scan the titles for something of interest. When I am preparing a research paper, analyst report or presentation, I quickly review the last few weeks of newsletters to see all of the latest industry numbers. These newsletters are focused on market numbers and industry trends so this is a good collection. On the right sidebar of the blog site is a "Search this Blog" field. This feature will search over 1,000 blog articles on this sight for the key word that you enter. In the Mobile Expert Interviews section, http://mobileenterprisestrategies.blogspot.com/p/mobile-expert-interview-series.html, you can see recorded interviews with executives and mobility experts from many of the leading enterprise mobility vendors. Again, on the right sidebar you can see the archive of articles listed by date. You can review articles all the way back to 2006, although I would not recommend it. Back on the left sidebar is a list of the most popular articles over the past few weeks. You can also sign-up to receive my articles, newsletters, podcasts, vodcasts (video podcasts) and other content via email by signing up here http://feedburner.google.com/fb/a/mailverify?uri=EnterpriseMobilityStrategiesForSapAndOthers&loc=en_US. You can also join the community discussion on issues related to enterprise mobility by joining the SAP Enterprise Mobility group on Linkedin here, http://www.linkedin.com/groups?about=&gid=2823585&trk=anet_ug_grppro. If you are conducting research on enterprise mobility, I would suggest this site is one of the best places to start as I have already aggregated all of the industry numbers and trends here. This is Part 2 of a video podcast (listen to Part 1 here) that I conducted with my friend and fellow mobility industry enthusiast, Philippe Winthrop with The Enterprise Mobility Foundation. In Part 2 we are talking about enterprise mobility management policies, mobility governance issues and different mobility strategies. Charlie needs work orders to be dispatched to his smartphone from his non-SAP scheduling and work order management application. Charlie needs to fill out his timesheet using SAP's mobile timesheet application. Charlie needs step-by-step navigation from his existing location to the next job site. Charlie would benefit from having an automated telephone calling service to alert customers of his imminent arrival onsite. Charlie would like to have mobile access to his SAP based HR benefits, vacation and sick days information. Charlie would like to have mobile access to the account information of his customers in SAP CRM. Charlie would like to have mobile access to the service history of his customers. Charlie would like to have mobile access to shipping status, so he knows when he can schedule a return visit. Charlie would like to see how his KPIs compare with his peers so that he can improve his performance. Charlie provides asset maintenance services for his clients and needs to review EAM (enterprise asset management) data in IBM's Maximo solution. He would benefit from a mobile integration with IBM Maximo as will as SAP. Charlie would like to have the ability to take orders, while on location, via his smartphone. Charlie would like to collect payments while onsite with the customer. He would benefit from being able to process a credit card payment via his mobile device. Charlie would like to know the location of parts that he needs for his repairs. Is the part in inventory in the warehouse, in a nearby company vehicle or down the street at a preferred vendor's location? Charlie would like to geo-tag (capture GPS location and apply a barcode label) to the equipment he maintains, so that next time he knows the exact location of all the equipment on the maintenance plan and can uniquely identify it. The point of this list is to suggest that the mobile user, in order to maximize his/her productivity, may have different needs and different priorities than others in different roles and departments. It is important to review the mobility needs of all of your mobile workforce first, before developing your company's IT priorities and mobility strategy.